MILAN -- Ferrari's ambition to compete with luxury-goods brands like Hermes or Prada has failed to make headway in the six months since its initial public offering, raising pressure on the new board to reset the supercar maker's strategy. Skepticism over the company's prospects has caused the stock to tumble about 20 percent since its October listing. The new board of directors, loaded with luxury experts, must address the challenge of pouring resources into its mainstream cars, maintaining the pricey presence in Formula 1 racing and extending the brand into more high-end products, all without the financial muscle of a strong parent company. "Ferrari has an identity crisis," said Adam Wyden, founder of ADW Capital Partners in Washington, DC. "They told the world they are a luxury-goods company so they should start behaving like Hermes or Loro Piana with their status-symbol supercars. It's not about selling T-shirts or caps" to racing fans. Ferrari's sluggish start as an independent company coincides with a rough time for the luxury-goods industry. The terrorist attacks in Paris and Brussels deterred hard-spending tourists from Asia and the Middle East to major European cities, compounding already sagging demand in China. That's hurt the likes of LVMH, Burberry Group and Prada, the worst-performing major luxury stock over the past three years, with its shares down by 29 percent. Sergio Marchionne had made Ferrari's luxury expansion a cornerstone of his sales pitch to investors as CEO of former parent Fiat Chrysler Automobiles. Marchionne is still chairman of Ferrari and his responsibility for implementing the strategy will likely increase after the company's long-time CEO Amedeo Felisa retires after the carmaker's first shareholders meeting as a stand-alone company today, people familiar with the matter said. To evaluate its luxury options, Ferrari's new board will include Delphine Arnault, executive vice president at LVMH Moet Hennessy Louis Vuitton SE; Adam Keswick, deputy managing director of Jardine Matheson Holdings Ltd., the parent of Mandarin Oriental Hotel Group; and Lapo Elkann, a member of the Agnelli family who helped to create Ferrari's customization unit in 2011. Lapo's brother John Elkann, the head of the Agnelli family which now controls Ferrari, will also be on the board and is unfazed by the share's varied performance. 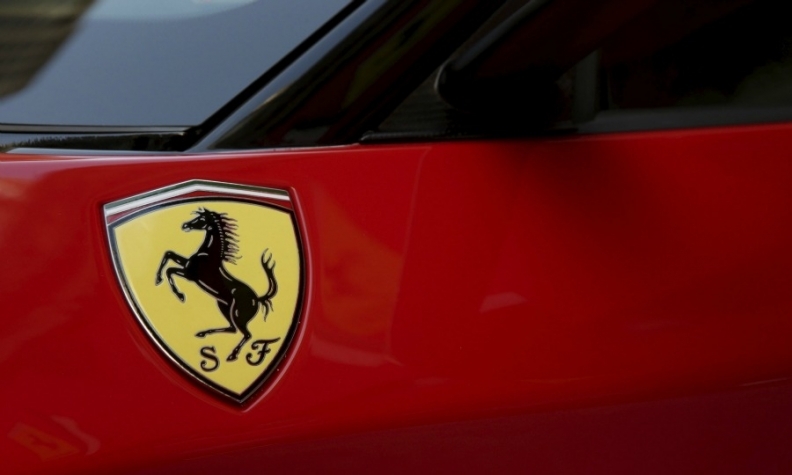 The automaker's "long-term prospects look even more exciting on the back of Ferrari's best year ever," with record sales and a 9.4 percent increase in net profit, Elkann said in a letter on Thursday to investors in the family's holding company Exor SpA. Despite the difficult market environment, "we are determined to hold on, which is possible due to the permanent nature of our capital and because our staying power is real." Marchionne, who could assume Felisa's CEO job alongside his other duties, has said that Ferrari will unveil a new strategy for its brand next year. The plans have already had their share of upheaval. Ferrari hired Luca Fuso from eyewear maker Safilo in September to replace Andrea Perrone, the former chief of luxury suitmaker Brioni. Perrone was brought in by Marchionne's predecessor Luca Cordero di Montezemolo to expand merchandising and brand licensing. The effort included a clothing line called Pr1ma, which offers 1,980 euro ($2,200) cashmere bomber jackets, 450 euro turtleneck sweaters and 180 euro T-shirts. "Ferrari's current retail product line is very far away from the business of LVMH, Hermes and Richemont," Thomas Besson, an analyst at Kepler Cheuvreux, said in an April 8 note. "We don't immediately see other ways to expand the revenue stream from licensing and branding activities and look forward to a potential complete review of these activities." While Marchionne has vowed to transform Ferrari into a "fully-fledged luxury brand," the fledgling efforts have so far fallen flat. Merchandising generated about 21 million euros in revenue in 2014, or less than 1 percent of the total, according to data published in the Italian company registry. While Ferrari didn't break out the details for last year, sponsorship, commercial and brand activities were largely flat. The company declined to comment on its future strategy. One area where Ferrari has had notable success is in licensing the brand to amusement parks. Ferrari World in Abu Dhabi, which features racing-themed rides like the Formula Rossa rollercoaster, will be joined by Ferrari Land near Barcelona next year. A third park is being developed in China, and there are plans for a site in North America as well. The trademark red of the brand's Formula 1 cars features prominently in the developments. "Ferrari is a paradox," said Giuliano Noci, professor of marketing at Milan Polytechnic. While its brand is iconic, its image is "so related to supercars that it becomes really difficult to expand it beyond the auto business."